There was a large swimming pool in a separate building next to the Culture House. The swimming pool itself was actually located on the first floor. Maybe this was to protect the permafrost from melting due to the large amount of water over longer periods? 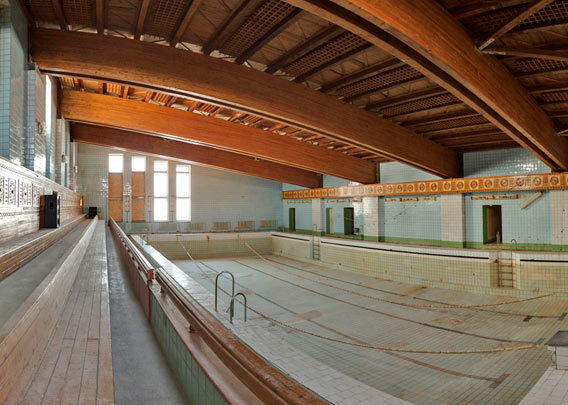 The swimming hall is in a separate building not far from the culture house, next to the open air sports arena “Gagarin”. Anyway, also the swimming pool building was large and well-stocked with all sorts of related facilities.